Too often homeowners wait to invest in drain cleaning services until they are in the middle of a clog or other plumbing emergency. At 1st Choice Plumbing Heating & Air we would like to encourage you to consider having your drains cleaned before an emergency presents itself. Following are five reasons. Read them and then contact us at 866-437-0205 to set up your drain cleaning appointment. 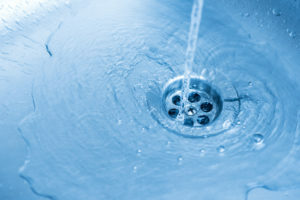 The drain cleaning process involves a camera inspection of your pipes. If they are full of sludge and grime, it can be hard to assess their true quality. On the other hand, once we have cleaned them out we can assess their state to ensure there are no problems. If you are dealing with tree root issues or buildups, we can take care of them before they become expensive emergencies. Have you noticed that water backs up on your property? If this happens from any pipe, it could be that you have a clog. There are many potential causes for these clogs, including cracks, burst pipes, or other damage. Once we get the clog cleared out, you may find that the water stops backing up on your property. No one’s pipes are going to last for entirety but the better cared for they are, the longer they will last. If your only reason for not having your pipes cleaned is that you do not want to pay the fee, consider that you could be paying a lot more for full-blown replacement or repair if your pipes are not well cared for. Of course, toilets and your other plumbing appliances will make noises sometimes, but if they are making strange gurgling sounds then it could be caused by a clog. Likewise, if you hear sounds in your walls like water gurgling through your pipes, it may be that the water is moving around clogs. You could say goodbye to these alarming sounds with drain cleaning. If you have your drains cleaned then you will have one less thing to worry about. The truth is that when there are issues with pipes, they can be some of the most costly repairs in the home. This is one of the reasons we recommend regular maintenance – so you will know that your pipes are in good repair. You can turn to 1st Choice Plumbing Heating & Air for help with drain cleaning and much more including a wide range of plumbing services. Reach out to 1st Choice Plumbing Heating & Air at 866-437-0205 now to set up an appointment.